Located in Harmony, Minnesota, Oak Meadow Meats is a purveyor of the highest quality meats and specializes in personalized, old-fashioned service. Oak Meadow Meats opened in November 2010 and is located on the north side of Harmony, Minnesota. Since then, Michael and Vanessa Aggen have been serving high quality beef, pork, chicken and seafood, alongside a heaping dose of personalized service. You can lean on Oak Meadow Meats to equip you and your family with the tools to create a memorable meal. In addition to our selection of USDA Choice beef, fresh cut pork and chicken, Oak Meadow Meats offers a expansive selection of sausage, bratwurst and smoked meats. Snack sticks and jerky are a perfect grab-and-go snack. Then, round out your shopping trip with freshly sliced cheese and squeaky cheese curds. The heart of Oak Meadow Meats lies in custom livestock processing. Remember, there can be a substantial wait time for processing appointments ... so book early. 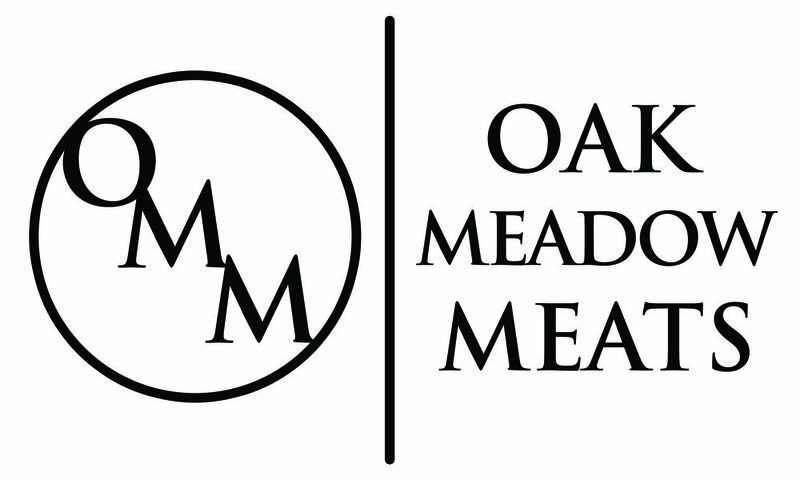 Oak Meadow Meats processes beef, pork, lamb and goat, and accepts boneless wild game trim at any time of the year. When deciding how to process your livestock, we will help you every step of the way. Call to place your specific instructions. Oak Meadow Meats dry ages all custom beef for a minimum of 10-14 days, but additional aging is always available. How many steaks per package? How thick would you like them cut (most common is ¾" or 1" thick)? What size roast do you prefer (most common is 3 lbs)? What size packages of ground beef do you use? Do you want your round steak tenderized, left as round steak, or ground with the rest of your trim? Do you want to keep short ribs or soup bones, or should those be ground? Any liver, heart, tail or tongue? How many pork chops per package? How thick would you like them cut (most common is ¾" or 1" thick)? From the pork shoulder, would you like steaks, roasts, or some of each? If roast, what size roast do you prefer (most common is 3 lbs)? Do you want to keep the spare ribs or would you like that ground? Do you want the belly made into cured and smoked bacon or side pork? Do you want your ham(s) cured and smoked or fresh? Would you like the ham(s) cut into steaks, roasts or some of both? If roast, what size roast do you prefer? Any hocks, lard, liver or heart? What would you like made with your pork trim? Most customers will make ground pork, seasoned pork sausage, bratwursts, or pork burgers. Feel free to contact us with questions about what to make with your pork trim. Note: On half hogs, we will make one trim product unless grinding shoulder and/or ham. On whole hogs, we will make two trim products unless grinding shoulders and/or hams. We accept boneless game trim at any time of the year. Trim should arrive in clean condition, free of hair, dirt, and other foreign material. It should be labeled in storage bags and can arrive either fresh or frozen. We guarantee that you receive the meat you brought in; we will not mix your game trim with any other trim. For this reason, we require a minimum of 20 lbs of trim per item of sausage. This will result in a 30 lb batch – you will be charged on the 30 lb batch weight. All sausage prices include the price of added pork. We add 1/3 pork to all sausage batches and you will be charged on the final weight of the batch. You may request to add beef to your sausage at the time of ordering, but this will be an additional expense. Customers may choose to add the following to their sausage product. The prices will be in addition to the listed sausage prices. Oak Meadow Meats is located just off of US Highway 52, just north of Harmony, Minnesota. Located in the industrial park, you'll need to turn on to the gravel road at the intersection of County Road 22 to get into our parking lot.